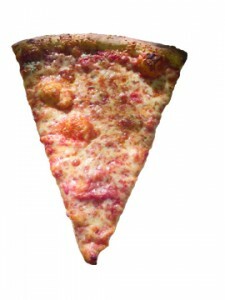 If you blink while driving down Queens Boulevard you’re probably going to miss Sunnyside Pizza. It’s the definition of hole-in-the-wall, with enough counter space for about two people to eat. That doesn’t mean you should overlook this slice, as it’s overall pretty tasty. The first obvious difference between Sunnyside Pizza and the rest of the field: the sesame seed crust. Not everyone is going to be a fan, but on a slice that doesn’t stand out too much on its own, it’s a nice touch. The cheese is a bit more viscous than some of the other top spots, but it still boasts a good flavor. The sauce is overall underwhelming. It’s flavorful, which is a plus, but definitely doesn’t make the slice better. The ratio is strong enough though that it definitely doesn’t take anything away from the rest of the slice. It’s the type of joint that you’re happy it exists if you live in the area and you want a solid slice spot.